2. Jon Voight and Burt Reynolds in DELIVERANCE . 3. Burt Reynolds and Demi Moore in STRIP TEASE . 4. Demi Moore and Kevin Bacon in A FEW GOOD MEN . This was done in 4 degrees. On this page I will, as often as I can, suggest an actor/actress, and give all of you out there about a week or so to come up with the most direct/interesting connections. 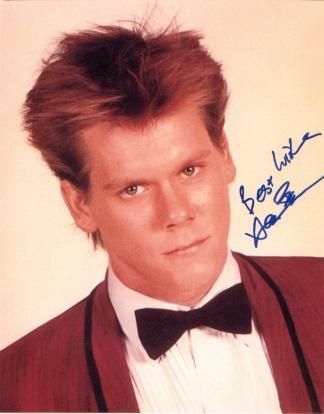 To submit entries simply email me and put "Kevin Bacon" in the subject heading. I will publish the most direct/interesting/creative connections at the end of that week. Have fun. Optional - include your province/state/country, so the other players (and I) can see how far this game extends. The winner's this time were Mezgoespostal and Céleste Parr! Since it's been so long since I've updated this, I'm posting every correct entry, starting with the earliest to the most recent submission. Congrats everyone! Thanks to all who submitted, keep 'em coming.